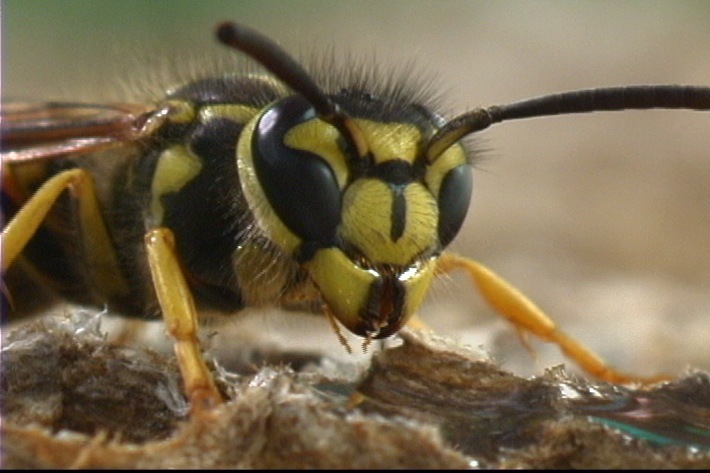 Yellow jacket insect control is part 3 of our wasp control series. There's no better feeling in the world than to get rid of pests, especially if you know that you won't ever have to deal with them again. But is that possible? Sure it is! The experts from Atomic Pest Control in Arizona literally show you how. This section will teach you how to remove yellow jackets and the wasp nest from anywhere. Wasps can be easily controlled if the nest is far away with yellow jacket traps but it's just a tad more challenging the closer the nest is to the property. Cleanliness is your best defense against any pest. First step is to decide where you want to set it up, if the tub can be moved, then you have many options; if not, don't worry, it works just as well where ever the tub may be located, wasps just have to have access to it. Second. 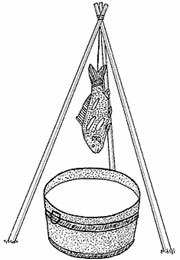 Attach string right above the tub hanging the liver or fish 1 1/2 to 2 1/2 inches from the tub. Add detergent to tub, then fill up with water. Here's how the homemade yellow jacket trap works. Since yellow jackets feed on a lot of human foods, fish or liver will work really well. As they find your food and try to tear pieces off that are just too heavy for them they will find themselves falling like flies (no pun intended) into the detergent water tub where they will quickly drown. This homemade yellow jacket trap will prove very effective every time. Don't be surprised if you find out you need a bigger tub! If you don't have the time to build your own trap you can simply buy one that works. There are several that just can't seem to be as effective but there are some non toxic that are cost and result effective. These can also be used for outdoors activities. All you have to do is make sure that they get set up a couple of days in advance. You can't use them the same day. For more on outdoor activities and wasp control click here. Return to the Wasp Control Home page to learn more. They are all either wasp or yellow jacket traps. But work just as effectively on almost all types of wasps. Same principle applies when using these as explained above. Yellow Jackets will drop into container and drawn. They won't be able to escape through any of the holes. You can improve them a little by adding dish soap to bait to enhance drowning and Vaseline to the inside neck to keep them from escaping. Make sure you buy enough yellow jacket traps to do the job and remember that they need to be serviced every couple of days. This can be accomplished if you use different foods for bait. The bait that comes with the trap usually does not last more than one day but frozen apple juice concentrate can be used to produce better results. We have previously mentioned that when it comes to pest control, cleanliness rules. That is the biggest lesson we hope to convey. You can never be a "clean freak" when trying to prevent bugs (including the yellow jacket insect) from coming into your home or business. Clean often and clean thoroughly. Garbage control goes hand in hand with effective yellow jacket wasp control. The first place the yellow jacket insect, wasps, and others go to feast on all kinds of meals is near dumpsters, trash cans, and anywhere else where they can find human food. They love it. They not only take advantage of the food they find in trash for themselves but also for their larvae, which prevents the wasp life cycle from being broken. The good news is that there is so much you can do in order to prevent this from becoming an infestation. Start by removing garbage daily. If the garbage truck comes only once per week, make sure there is no way for the bags to tear open, the point is keeping food away from wasps, insects, rats, birds, and other pests as much as possible. Once garbage bags are in containers and dumpster; spray Baygon's propoxur inside twice a week and make sure lids are tightly fitted. Wash garbage containers at least twice a month and repeat the previous step. Choosing the correct insecticide out the thousands of pest control chemicals out there. Atomic Pest Control has spent decades researching the products that work best for all kinds of pests. Our professionals cannot become certified in their field of expertise unless they have a thorough understanding on the effectiveness of professional pest control products and their hazards. The recommendations given here have been selected by the experts at Atomic. Click Here to learn proper application and wasp control recommendations. 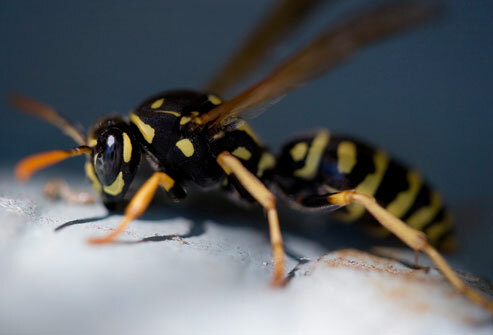 These wasp control methods are sure to help you with yellow jackets and other wasps. They have been put together by our team at Atomic; our experts have been following these techniques in their own homes effectively for many years and we hope they really help you as well.